Radio City Christmas Spectacular starring the Radio City Rockettes. The tourists come piling into town this time of year. They stop dead just through a doorway and stare at their phones in a group completely unaware of who is around them trying to get by. At Radio City Music Hall when the Christmas Spectacular starring the Radio City Rockettes is playing, these tourists multiply to impossible numbers and there are barricades on the sidewalk and in the streets making it all worse. My daughter begins to grumble, “Remind me why I agreed to do this!” It’s one of those drizzling, humid early December nights when we thought we needed our down jackets, but we’re just sweating like dummies who forgot to check our weather app standing in the New York City crowd wondering which is the right line, our hair going limp while our make-up runs, and we’re being told three different answers to that question by those here to “help.” I’m losing my patience. Christmas is hard for us – for my family – because seven years ago, we lost our seven-week old baby boy to SIDS. It was Christmas morning and he just didn’t wake up. My daughter was seven years old then and is fourteen now. The Christmas after our tragedy, my grandmother carefully emphasized to me that, “You’re only little once.” In other words, bear it strong, don’t make Christmas a sad dark time; make a magical Christmas happen for my daughter like a good mommy. And we have found that letting the holiday just flow, not expecting too much, not making big plans, putting on a little music and getting a tree has brought us joy and gotten us through. This year, I took a risk and invited my daughter to come with me to see the Christmas Spectacular. She’s already a hormonal teenager, but add on what Christmas brings up for us emotionally and I could be setting us up for a bummer of an evening. This show is supposed to be a big deal. As we stand in line for security checks and our bangs are sticking to our foreheads, my daughter says she is excited to see the Rockettes live for the first time. So am I. It’s my first time, too. Of course, I’m forty-eight, so I have to pee first. The ladies lounge at Radio City tonight is akin to that at Grand Central. Oh dear; here we go. But then, we sit down in our theatre seats and listen to the skillful organists – one on each side of the proscenium – playing festive bell tones and then familiar bars of Christmas songs while the lights are still up and audience members are finding their seats. The air in the theatre is – thank you, Jesus, cool and dry and flowing. Then, the organs recede into the walls and the orchestra rises up in front of the stage! This is already spectacular. And the Rockettes are incredible. I tell my husband on our way home that they do things that seem impossible for humans to do. Every move is so precise. I think, even if we had seen them before, we would have been just as thrilled by their timing and their skill all performed with a smile. They have been doing this since 1933. It really is like magic. The toy soldier segment is legendary. The lines become knife straight and no one misses a step. And it’s cute, silly and full of mischief. My daughter is mesmerized and I love every minute of the tap dancing – an art we are losing in this world, but which is perfectly preserved here in this arena. The rag doll routine brings in impossible mathematics – or is if physics? – for a brilliant surprise ending. There’s a bus on the stage – and camels, you guys!! I am intrigued by the unapologetic mini Holy Family pageant toward the end of the show. Well, I guess it is the Christmas Spectacular. Some murmur and squirm in their seats over the recitation of the Gospel of Luke, but the colors are so beautiful and the north star is accented by arial dancers that seem to draw glittering starlight through the air as though they are magnets strung high above the stage. Everyone is a willing believer for at least a few minutes. My daughter is buzzing and glowing with delight. Christmas is hard for a lot of us; not just my family. Every year, we make more room for our jumbled feelings and let in just a little more light. But this year, The Christmas Spectacular encouraged us to let in more light than ever before. Santa speaks about it in the show – letting in light and love. It is a pleasure. Totally worth the crowds and the sweating and the frustrating journey from the outside to the inside of the theater. 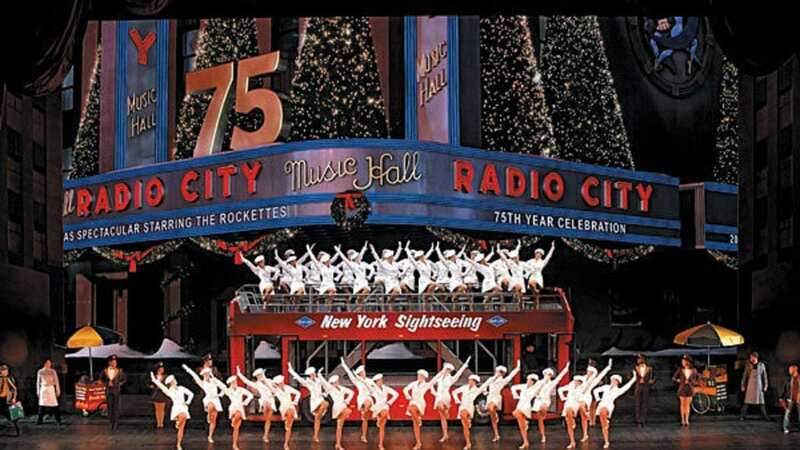 May the Christmas Spectacular starring The Radio City Rockettes remain a New York City tradition for eighty-five more years! 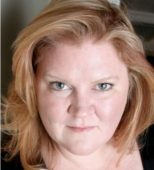 Director Julie Branan; Written by Mark Waldrop; Composed by Gary Adler and Mark Hummel; Choreography by Julie Branan and Mia Michaels; Set by Patrick Fahey and 8 Hands High, Inc; Costumes for Finale by Emilio Sosa. Summary The rag doll routine brings in impossible mathematics - or is if physics? - for a brilliant surprise ending. There's a bus on the stage - and camels, you guys!! 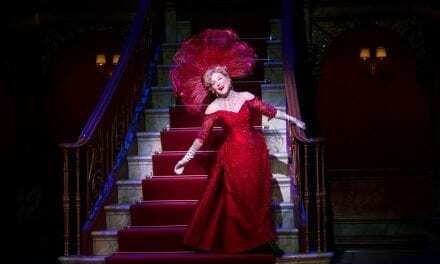 THE OFF BROADWAY ALLIANCE ANNOUNCES 2014 AWARD WINNERS!